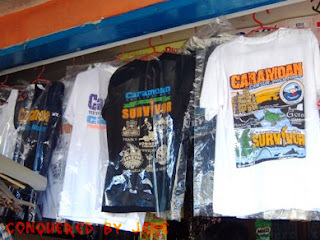 Sure, Caramoan is best known for its beautiful islands and now being the venue for reality TV show Survivor. But what’s there beyond island hopping? 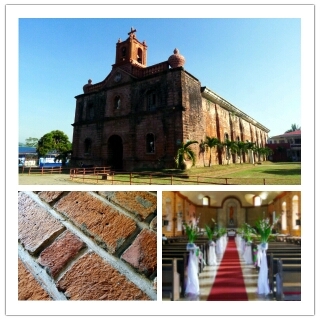 It's a red brick church built by Franciscan missionaries in the late 16th century. It's on Real St.
2. Caramoan’s 1st ATM machine! This was set-up just a few years ago. Cheers for progress! Located also on Real St. Didn't know 'til now. Aga plans to represent the 4th district of Camarines Sur in Congress. I guess he's starting to make his presence felt already. (Source) You'll see this on Real St,, too. 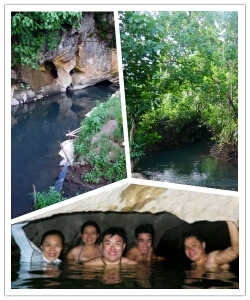 Our usual swimming spot after island hopping. The water is pretty cold! Fresh water, too! Go in the cave but don't go too far in because it’s dark and scary. Don’t forget the Php 10 entrance fee! I don’t know if it’s some sort of jail or for the “mayor’s squad” to hangout in. Whatever it’s for, it makes a good venue for a photo shoot! 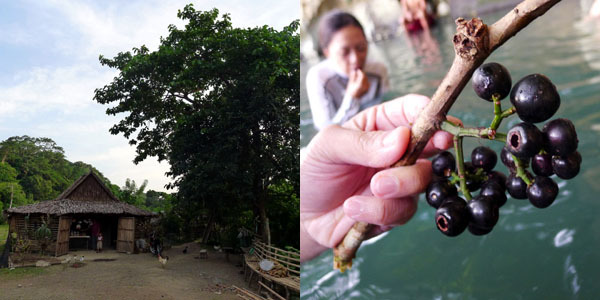 This is on Real St., just a few minutes walk from Rex Tourist Inn. Fried chicken never tasted so good. Choose from either the sweet or spicy dip—or both. 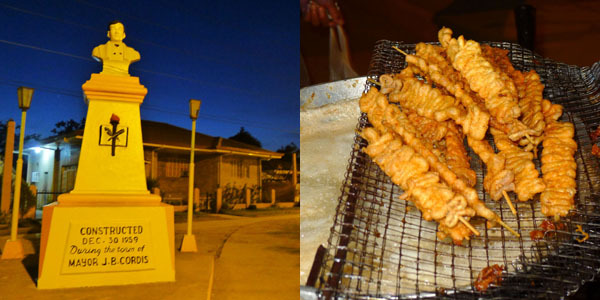 Usually, isaw is grilled. This time, it's fried! Crispy on the outside, gooey on the inside. 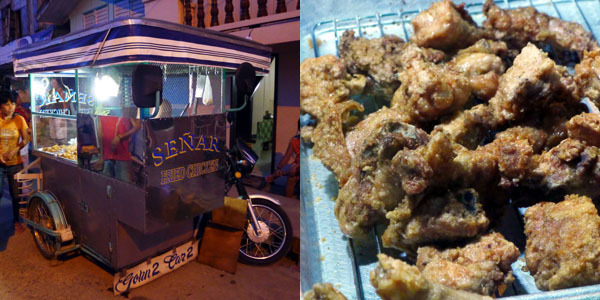 This isn't really specific to the place but it's a great pulutan while having a round of drinks. 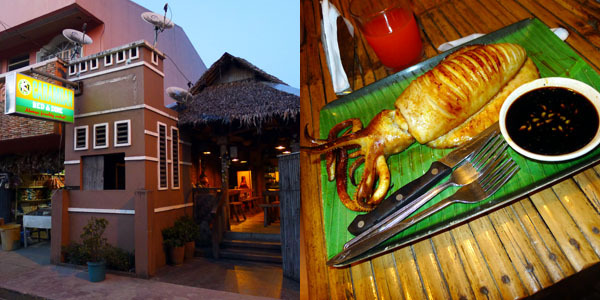 Where: Caramoan Bed & Dine, Real St. I'm not a fruit person and I really don't know what this is. Black currant? Tried it for the sake of trying. They say that it's best served mixed with salt and sugar. Eaten raw, it's really sour. 1. Bangka figurine in memory of the boat rides and island hopping. Where: Souvenir shop in Real St.
For more pictures of Real St. and Caramoan, click here. Go for it! 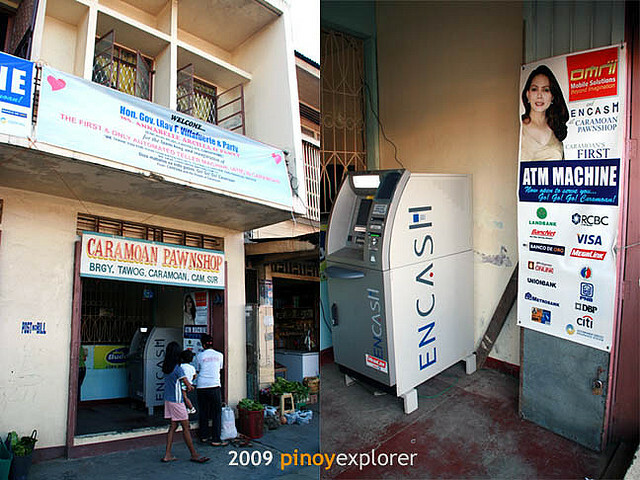 Masaya yan. You might even make new friends if you're there by yourself!